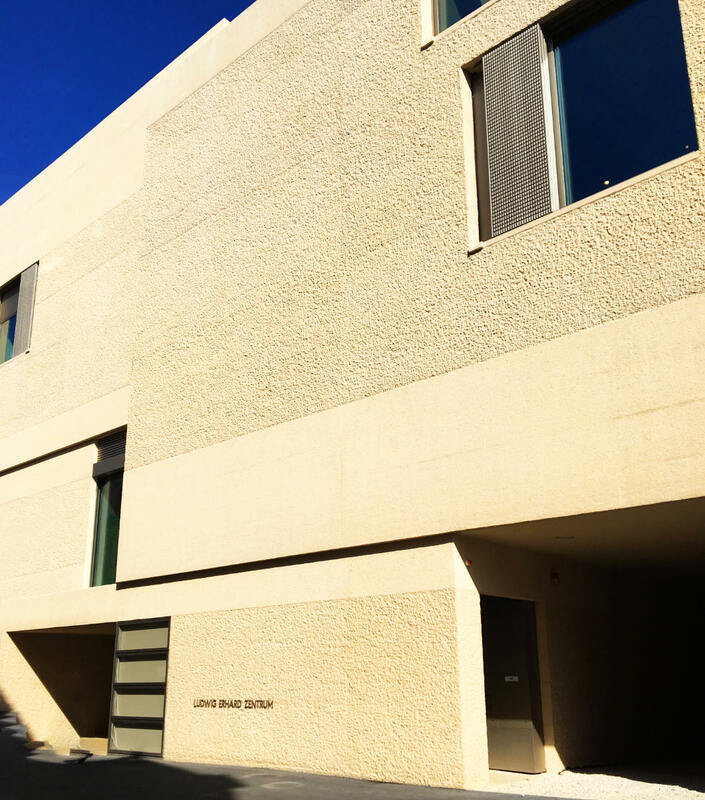 Part of the exhibition is in Erhard’s birthplace, the rest moved into the new building that was opened in 2018 opposite the old one. 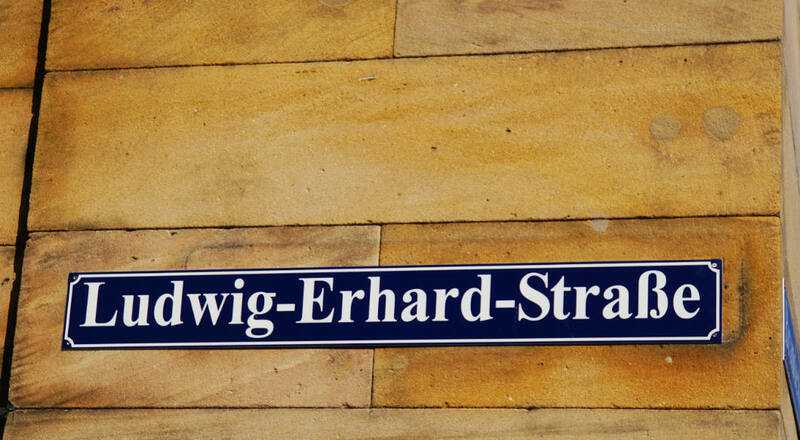 Ludwig Erhard was born in 1897 in Fürth and he is one of the most important people of German post-war history. After he served in the military he started studying in Nürnberg in 1919 and finished 1925 with a postdoc in Frankfurt. After the Second World War, the then independent Erhard quickly took up political roles. Later, then part of the CDU, he became Federal Minister of Economics from 1949 to 1963. His work made him the father of the German economic miracle and the social market economy. He was vice chancellor between 1957 and 1963 and became the second chancellor of the Federal German Republic from 1963 to 1966. He stayed in the German Bundestag until 1977. We start our tour of the Ludwig Erhard Centre in his birthplace. This is where the Erhard family lived and ran their textile and linen shop downstairs. 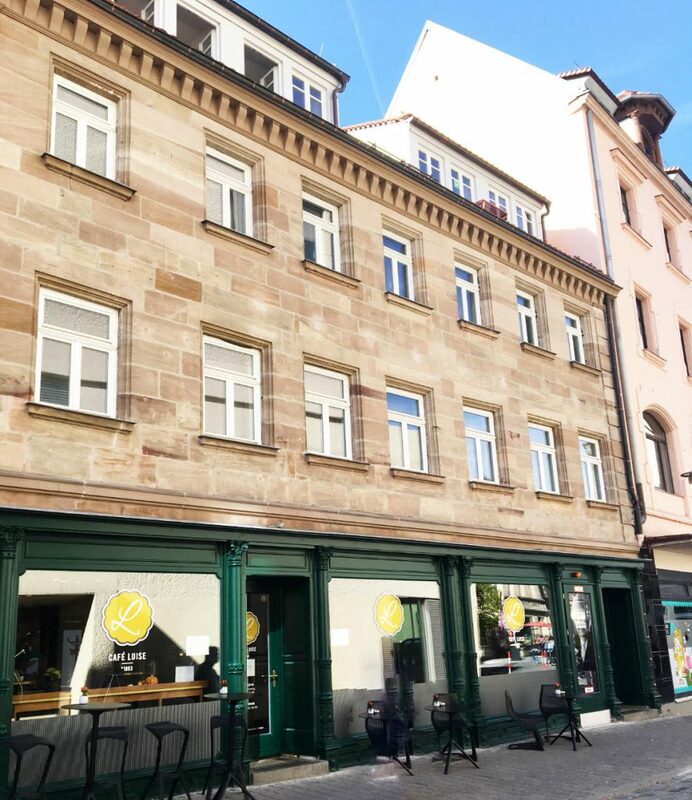 There is a café now in the former Erhard shop. The exhibition opens with the Erhard’s family history on the second floor of the building. 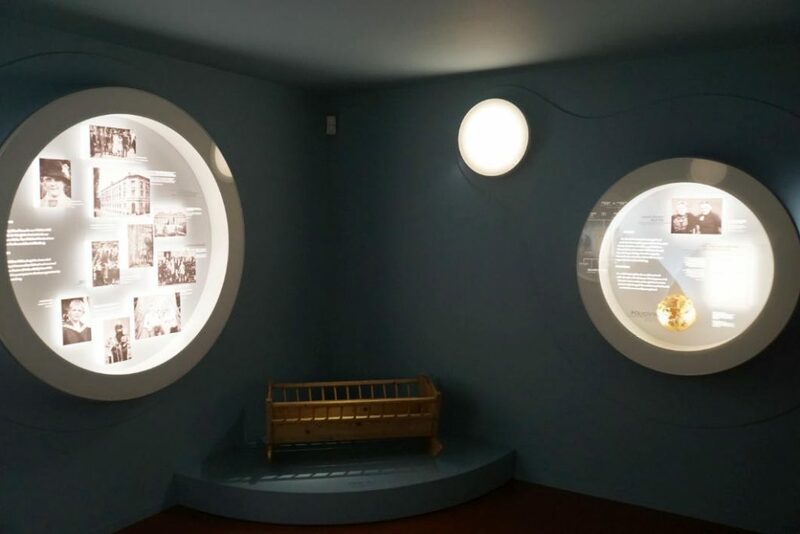 Room by room, it shows Erhard’s life and his most important milestones until 1945. I will not go into detail about his most fascinating life. Whoever is interested in more in-depth information should really go to Fürth. But I will not pass up the opportunity to point out some museum pedagogy details that made the tour interesting and varied. 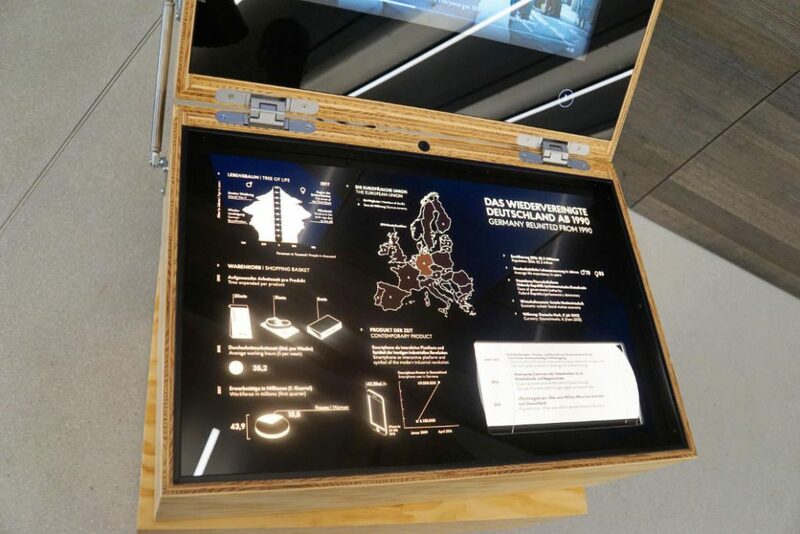 For example, there are different wooden boxes for different time periods. Demographic data is shown alongside a shopping basket. This shows, e.g. the working hours needed to produce butter. A short video of 2 minutes explains the political and economic situation of the respective period. This helped me tremendously to get a better understanding of the bigger picture around the exhibits and my first stop in every new room was always that boy to get this information first. Afterwards, I took to the different exhibits like pictures, items, films and audio recordings – everything really well displayed and varied. 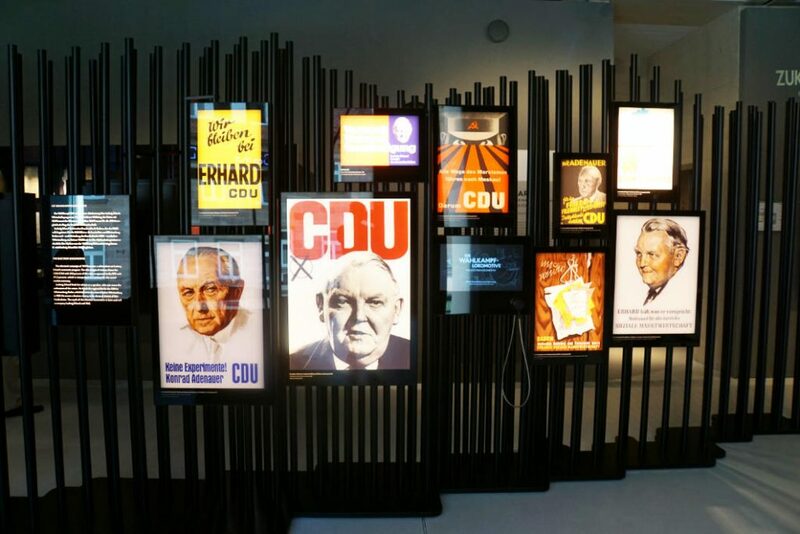 In the new building, that was just opened in 2018, the exhibition continues with Erhard’s life and his political career. This is a part of Erhard’s life that is better known to many people. I rediscovered a lot that sounded familiar from my history lessons at school but I also picked up a lot of new things. On the top floor of the new building is where they risk a glimpse into the future. How would Erhard’s concept of social market economy apply to the future? Short movies give food for thought on different subjects. I have to admit that I am not particularly political. I sure have an opinion as well as interests and desires. There are politicians that I like more than others and there are political agendas that I agree more with than with others. But this all doesn’t really matter in the Ludwig Erhard Centre. Here, the life and the work of a person is shown who happened to be, amongst other things, a politician. Visitors get to see the younger German history alongside the life of Erhard whilst learning about personal and political details from his fascinating life. The visit to the Ludwig Erhard Centre was gifted to us as part of a research trip to Fürth free of charge. The article is exclusively about our own impressions.